Dr. Yahia Said completed his Doctorate in General Medicine from Algiers’s Medical University, 2002. He further got his specialization, Diploma in Gastroenterology from Algiers’s Medical University, 2007 and simultaneously he completed his Residency Fellowship in Gastroenterology in the same Institution, Algiers’s Hospitals. Dr. Yahia Said took keen interest in in attending various Western and International Courses & Conferences, since 2008. He Passed European Specialty Examination in Gastroenterology & Hepatology (ESEGH) MRCP Gastro (UK) in 2018. His clinical experience spans 10 years. He started his professional journey at Ghardaia Regional Public Hospital, Algeria and was appointed as Specialist Gastroenterologist and there he was also the Head of Department of GI Endoscopy Unit from 2008-2012. He had worked as private practice at various clinics in Algeria as Gastroenterologist. He moved to Middle East in the year 2016 to pursue his career. 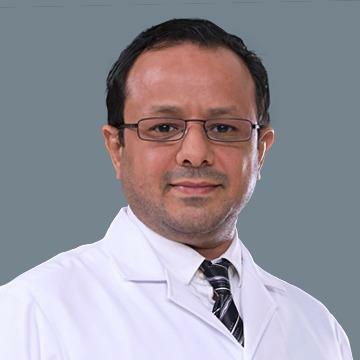 He joined Apollo Hospital Muscat in Oman as Senior Specialist Gastroenterologist and Endoscopist from 2016 – 2018. His area of expertises are GI Endoscopy, Gastroscopy, Colonoscopy, ERCP, Intragastric Balloon for Management of Obesity, Capsule Endoscopy and other GI Interventional Procedures. His major interests are Gastroenterology, GERD, Peptic Ulcer Disease, H. Pylori Infection, Inflammatory Bowel Disease, Proctology (instrumental treatment of hemorrhoids) and Hepatology like Acute and Chronic Liver Diseases, Fatty liver, Non-Alcoholic Steatohepatitis, Autoimmune and Viral Liver Disease, Liver Cirrhosis, Portal Hypertension, Liver Transplantation and Biliary & Pancreatic Diseases. He is fluent in Arabic, English and French.